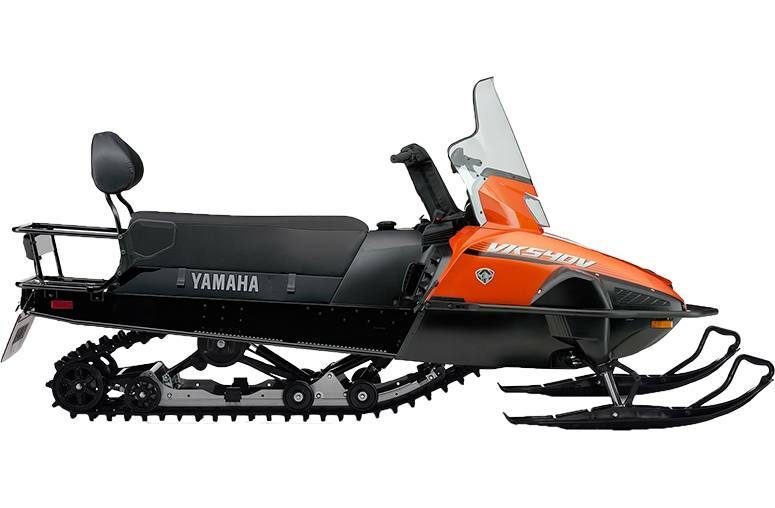 The Yamaha VK540 is legendary for its durability, reliability and dauntless work ethic. 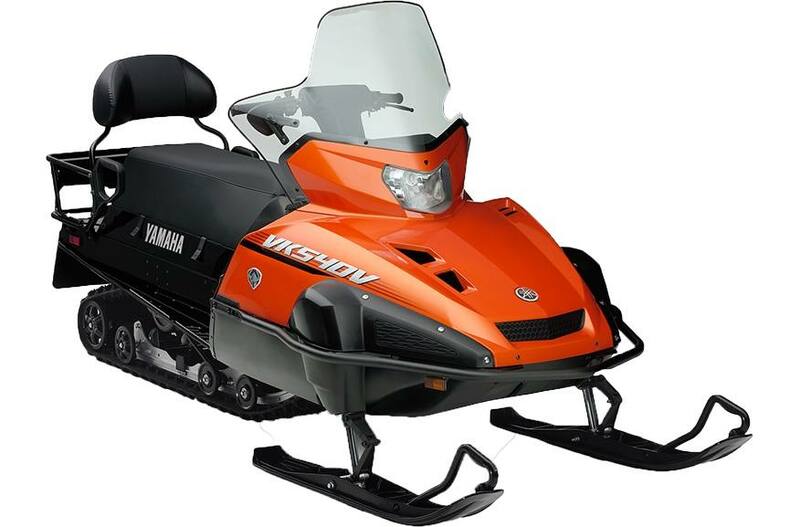 A simple, 2-stroke engine with heated carburetor and both manual and electric starting is assured to get you going no matter how far the mercury drops. 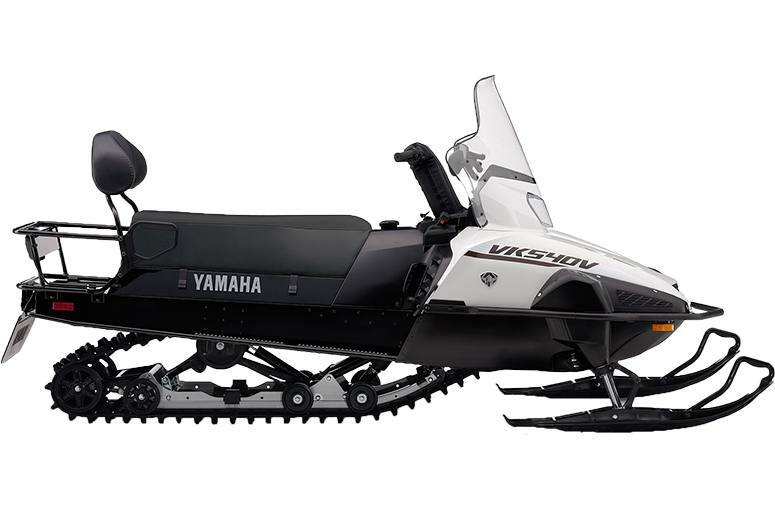 A 20 inch track with aggressive 1.5 inch lugs provides plenty of traction and the hi/lo range transmission with reverse offers versatility. 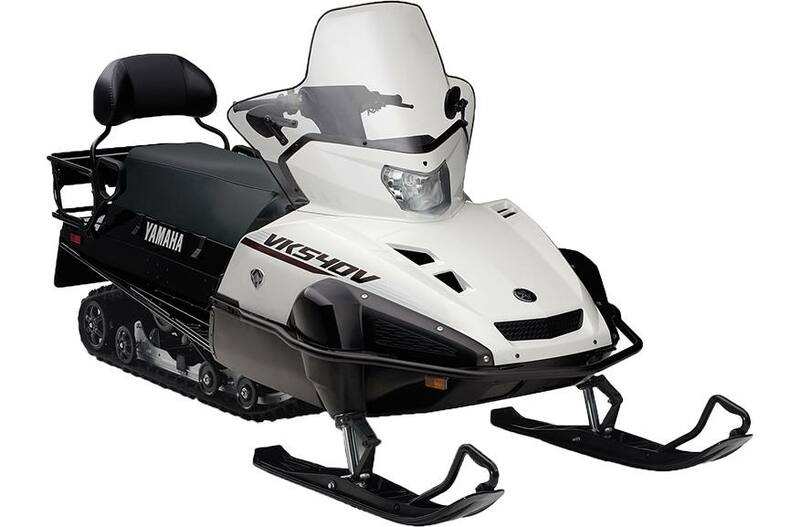 The VK540 has been the top choice of riders in remote areas for a very good reason. 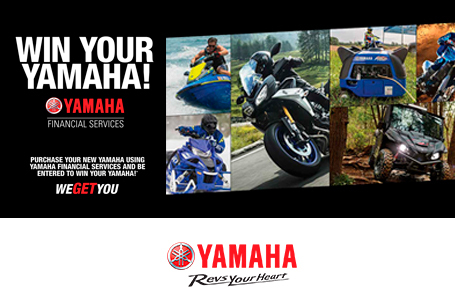 It's a Yamaha, dependable, pure and simple. Available in both white and orange colors. Three Speed Transmission: The Hi/Lo transmission with reverse is workhorse one minute, and a versatile trail cruiser the next. With a simple to use manual actuated lever, you can select from"normal" high range for cruising to low range and pull heavy loads. Protective Windshield: A wide, tall, wrap-around style windshield delivers greater protection from the elements as well as unsuspecting tree branches and limbs. The windshield has been wind tunnel tested to reduce unwanted negative swirl and deliver a greater"pocket" of comfort for both driver and passenger. Standard Electric Start: Seamless and easy to use electric start delivers instant and hassle free starts, no matter the weather, eliminating the need for an"old-school" pull rope. 20 in. x 154 in. x 1.5 in.